Includes: bra, skirt, arm bands, wrist cuffs, necklace, headband, half-circle chiffon veil. 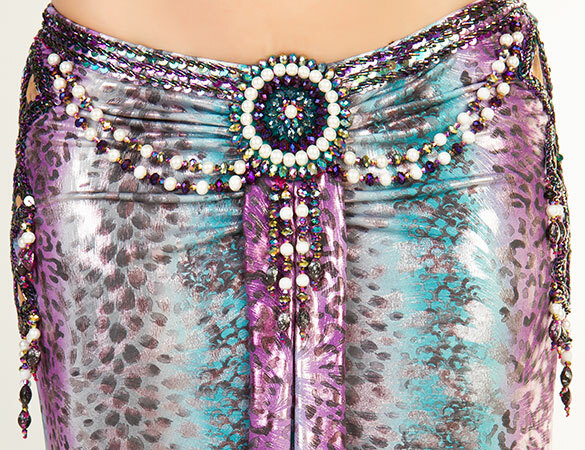 Fabric is purple/turquoise/silver lycra and purple chiffon. Beading: purple, turquoise, pearls; some AB crystal stones. Skirt: fitted lycra skirt with a slit in the front center and purple chiffon insert. Upper hip 34", lower hip 36-40", length 40".